This Triangle Hexagon Pillow Designed by Kim Kruzich of Retro-Mama, The Tutorial is available for free. "I made this triangle/hexagon pillow a few years ago for my sewing chair, and it is so comfy and has held up so well I thought I'd share a quick tutorial with you. 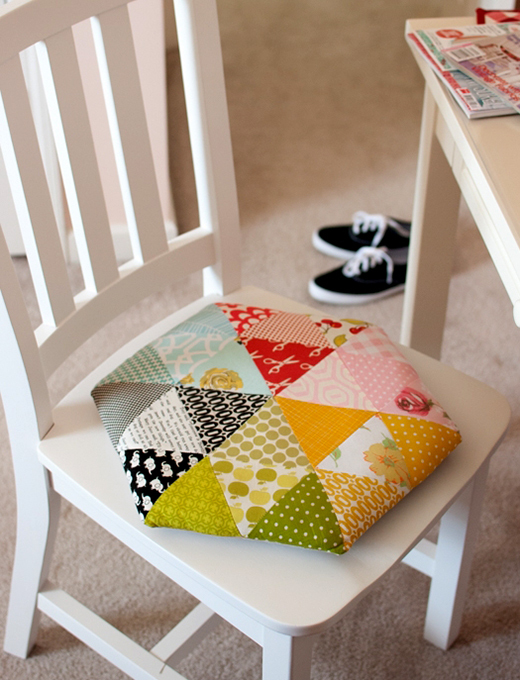 It's machine sewn and does not require any tricky piecing, unlike regular hexagons, so this simple, scrappy pillow whips up pretty quickly! "